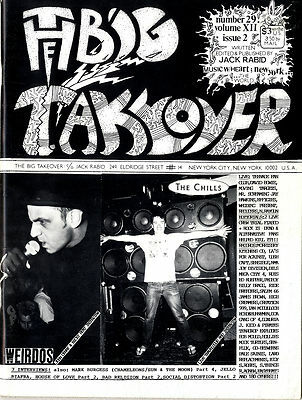 THE Big Takeover Magazine US Rock/punk/grunge back issue 1990 #29 Interviews with The Weirdos, The Chills, Jello Biafra, Social Distortion, House Of Love, Mark Burgess. Live reviews David Bowie,Wedding present etc. Plus other features including lots of LP & singles reviews and Live gig reviews etc.